After playing with Flappy Bird for the past few weeks it’s nice to find a new time-sinking game that requires a bit more brain power, and is a little less frustrating. 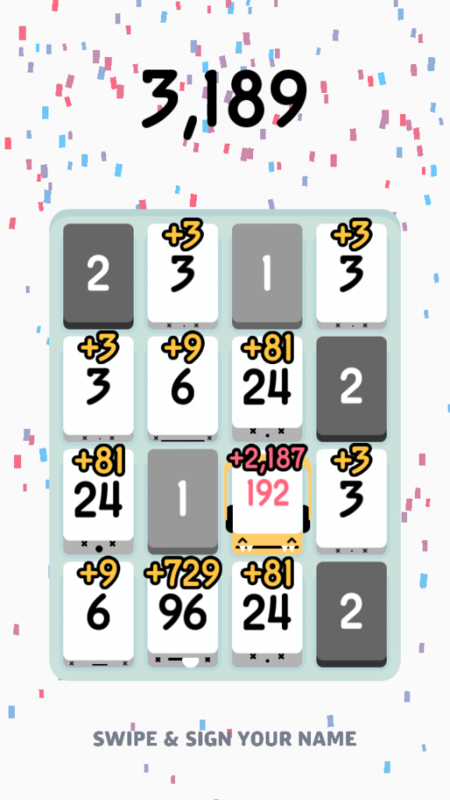 Threes is on the face of it a confusing game that turns out to be quite simple. The aim is to move numbered tiles around a board making them add up to numbers that are multiples of 3. 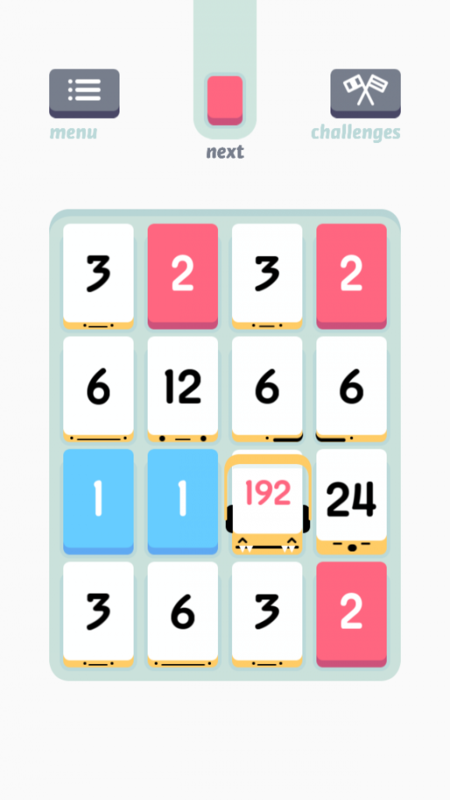 You can download it from the App Store here: Threes! As you move tiles around new tiles are added to the board. Tiles that have “2” on them can be added to tiles that have a “1” on them, to make a tile with a “3” on it. Tiles that have threes on them can be added to make a “6” tile. Sixes can be combined to make twelves, etc. The aim of the game is to add as many tiles together before running out of space on the board. It’s really quite hard to explain this game in words. And until you’ve played it, it’s hard to see why or how it could be fun. But it is. Once you get the hang of it, it’s more addictive than Flappy Bird, and a lot more rewarding. I like it because I’m a sucker for anything that is well designed, and this game is very, very well designed. The game play is simple. The gentle introduction to how to play works well when you first load the game. The visual style and sound design are both fun, cheeky and really help make the game an engaging experience. I particularly like the sound design. Each of the tiles has a personality, a little face and their own voice. When you have two tiles with the same number next to each other they smile at each other and make an excited little noise. They want to be added up. If you try to move tiles in a direction that doesn’t work one of them will say “no”. Adding a personality and a voice to each of the tiles in the game was a brilliant design decision. It really lifts the game from something that could have been a nice puzzle game into something that is a lot more engaging and interesting to play. I’m not normally a fan of number games, but this one has really grabbed my attention and has already made it to the first screen of game icons in the games folder on my phone.